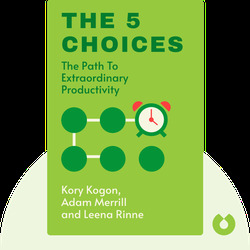 The 5 Choices shows us that extraordinary productivity isn’t actually about working harder; it’s about working better. By learning how to streamline your decision-making process, focus on important work and manage your energy, you’ll see an enormous difference in your level of productivity and work quality. 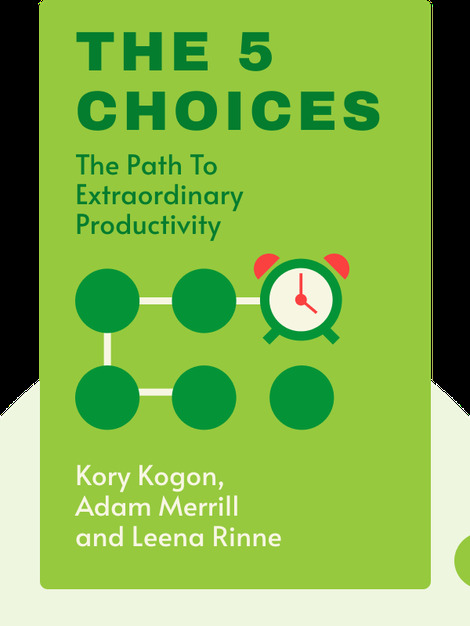 Kory Kogon is a former executive and author specializing in time management, project management and communication skills. Adam Merrill is an executive and author specializing in innovation, productivity and leadership. Leena Rinne is a senior-level consultant working in international business. The 5 Choices is her first bestselling book.